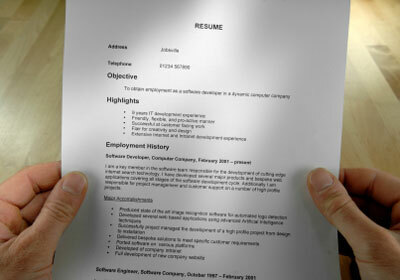 Preparing resume is one of the basic and an interesting part of creating job opportunities. 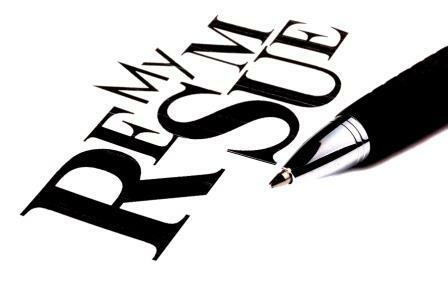 There are ways of creating a resume depending on the skill-set, demand, opportunity, company, interest etc. Well it is further subdivided into external facts and internal facts. What so ever the reason, one must have certain basic ‘must have’ write ups in a resume. As these definitely increases the chance of getting a job. Having said this, we need to carefully sketch the facts and details that must go on a compulsion into the resume and also those that can outline a resume neatly and attractively. Before we can look into those simple yet productive points to increase the value of a resume we need to know that whilst writing a resume it is important to keep our professional strategies or rules in line. 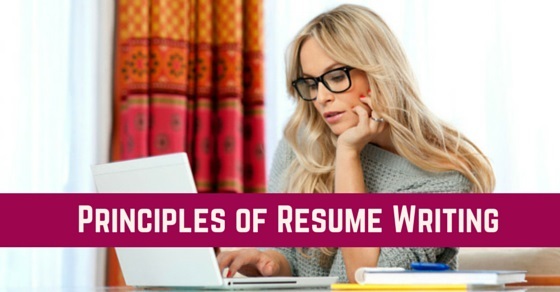 Now let us peek into the concept of writing resume as per certain principles and guidelines. Plan a layout for your resume that may seem to interest the employer. Select your outline neatly and keep a note on the border color and things like header and footer notes. A neat presentation is required in every aspect of life which is one of the cherry points for people to know your depth of interest. Remember employers get glued to resumes that look very interesting and attractive. As mentioned above out of many varieties of writing resumes you need to analyze for yourself what kind should your resume look like and which area of career you want to head towards. Post this analysis you can draft a rough concept on what points need to go in with respect to your want, achievements, recognition, experience, qualities, etc. Well, I am talking about the words those written in a resume. The write up in a resume should always be brief. 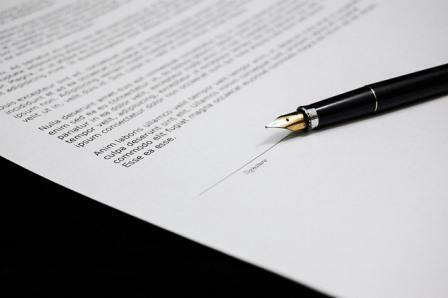 Lengthy and story type resumes are no more attractive to any employer. The market being so huge and lot of candidates applying for jobs, it becomes tedious to go through a resume that is written with huge content. Hence always remember to cut short of those that can be made simpler and eliminate those that are irrelevant. This keeps your resume short and simple. Whilst creating or writing resumes consider charts/shapes/ smart arts etc that’s available in ‘insert’ section of word doc. These help you present your achievements more attractively and also help you reduce the number of words used. With the help of right design you can project the resume at its best. Prepare more than one resume. Yes, you read it right; one must have more than one resume to clearly aim at varied jobs. This is because each company requirement differs from one another. ‘X’ is a company who are looking for an employee for the role of ‘Project designer’ and ‘Y’ is a company who are looking for an employee for the role of ‘Project manager’. Let us consider you have had an experience in both these aspects of career. Now if you have a resume that talks more of designing the projects than managing a project or a team of project designers you may not land a job with company ‘Y’ likewise if you have a resume that talks more of people management skills or project handling skills than designing it you may not get the job in ‘X’ company. Hence create resumes that may suit various requirements as per the company so that your resume will be considered for further processing. Many of us consider writing resumes in a boring font design or size that we think it to be professional. That’s not the case anymore, you need to ensure to have projectable size, true type font design, number format, bullets, italics (if necessary), etc to keep your resume on top. Having said this do not over-do the formatting or italics or borders that make it look unprofessional. Keep it technically correct yet viewable and interesting with right facts and figures. Never give room to make grammatical, spelling or typographical errors in your resume. This will be a negative marking or in other words if these are found then the employer may lose interest in reading further. Once done writing your resume, ask your good critic to proof read the same and help you minimize the errors if any. One of the basic and foremost requirements of writing resume is disclosing the correct facts, dates, numbers, true experience, activities and qualities of you. This will be appreciated and valued at high. Make your resume accessible as many company’s today prefer scanning of resumes. Amend your resume if employers find it overqualified. You need to aptly redesign and restructure your resume to suit the employer’s requirement. This is because writing every bit of your career experience may not fetch you jobs always. It is the need of the hour which is what employers look at. Last but not the least key in your present contact details and email address that you are accessible at. Keeping all the above basic principles you can neatly draft and craft a resume that may suit almost 80% of the job requirements. Make it simple and understandable to the viewers and imply facts that can be proved and justified. Keep it accurate and clean in terms of vocabulary and grammar. Avoid most commonly used phrases or sentences that begin to describe you as “I am good at…”. Make it remarkable with appreciations or recognitions that you have received. At last, market it well so that you get the right job that you have been looking for. Do post your reviews or critics that may improve this write up. Previous articleHow to Get a Job with Bad Credit History?